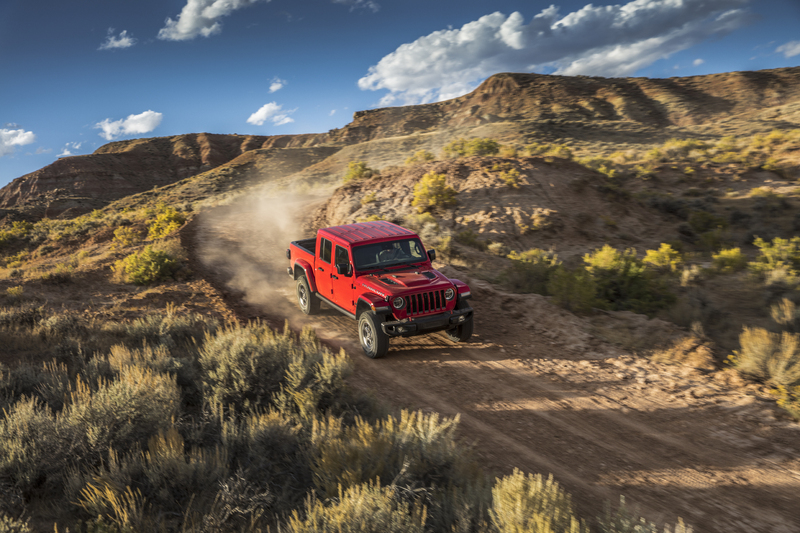 We’ve waited 26 years for a new Jeep truck. While we’ve known it will be coming soon for some time now, it was just officially unveiled at the LA Auto Show. It’s called the Gladiator and is based on the Wrangler JLU. 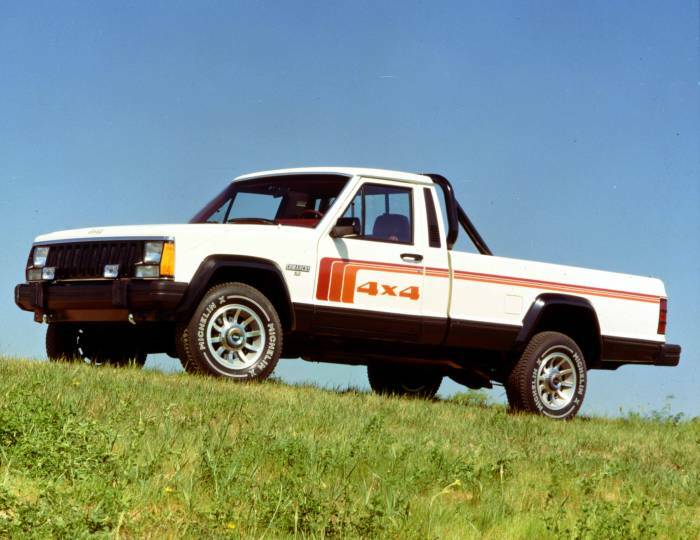 Jeep truck concepts, renderings, and rumors have been flying for a long time now. Well, now it’s official. 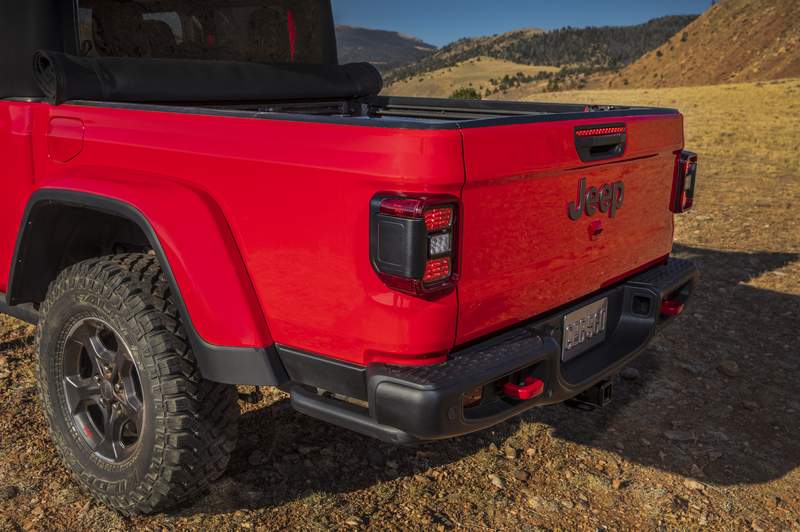 Today in Los Angeles, Jeep finally gave us an official look at the Jeep Gladiator truck. This is not just a concept, but a production-ready vehicle that will begin production in the first half of 2019. 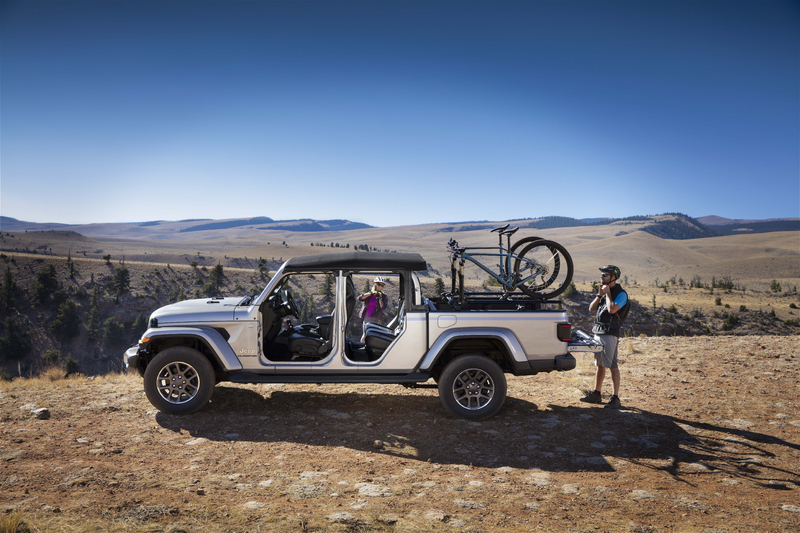 “Unquestionably a truck and instantly recognizable as a Jeep, the all-new 2020 Gladiator is the ultimate vehicle for any outdoor adventure,” said Tim Kuniskis, Head of Jeep Brand North America. 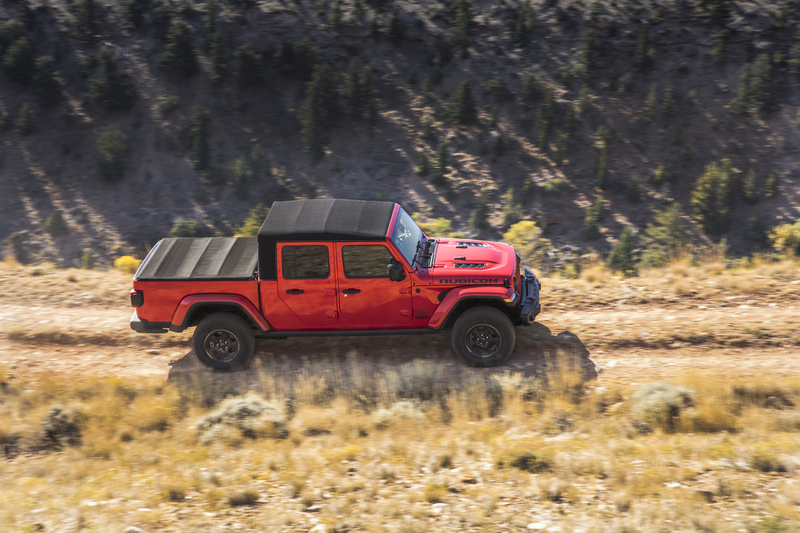 Like its Wrangler siblings, the new Gladiator offers a fully removable top, fold-down windshield, and removable doors. There is no other truck that can provide the same open-air motoring. 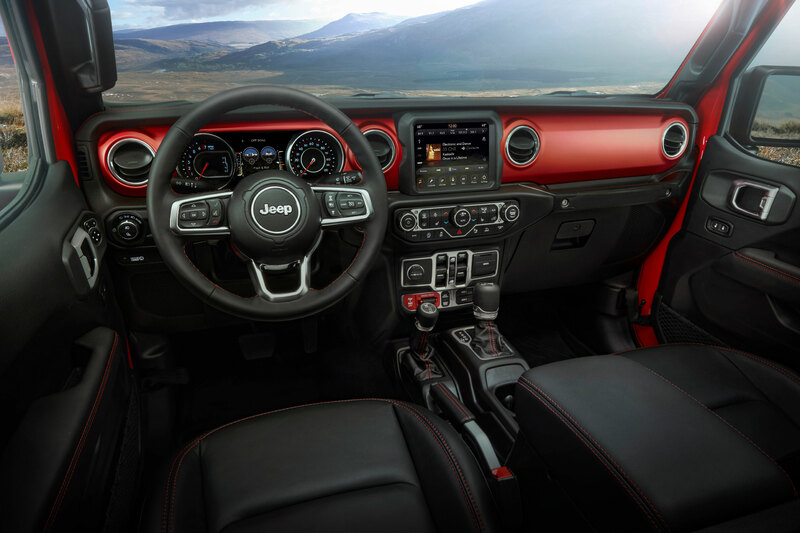 The aftermarket will pounce on this opportunity, just like they have with the Wrangler, to offer a wide range of soft tops, custom hardtops, half doors, etc. The last time the North American market got a truck with a removable top was 1991, with the Dodge Dakota Sport convertible. 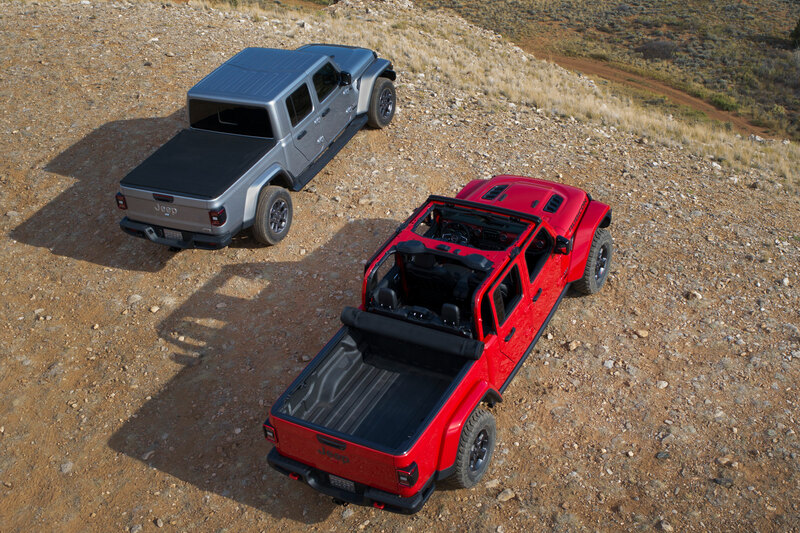 But even that unique low-volume truck didn’t offer a drop-down windshield and easily removable doors like the new Gladiator. No other “small” truck on the market offers solid axles. You’d have to get a big three-quarter-ton truck to find solid axles on any other truck offered in North America. Solid axles are praised for their durability and function off road. The downside is that they generally offer a rougher ride on road than IFS (independent front suspension). The Gladiator comes with third-generation Dana 44 front and rear axles. They have a 3.73 gear ratio on the Sport and Overland trim levels and a 4.10 ratio on the Rubicon. This truck will be Trail Rated and ready to tackle serious Jeep trails. 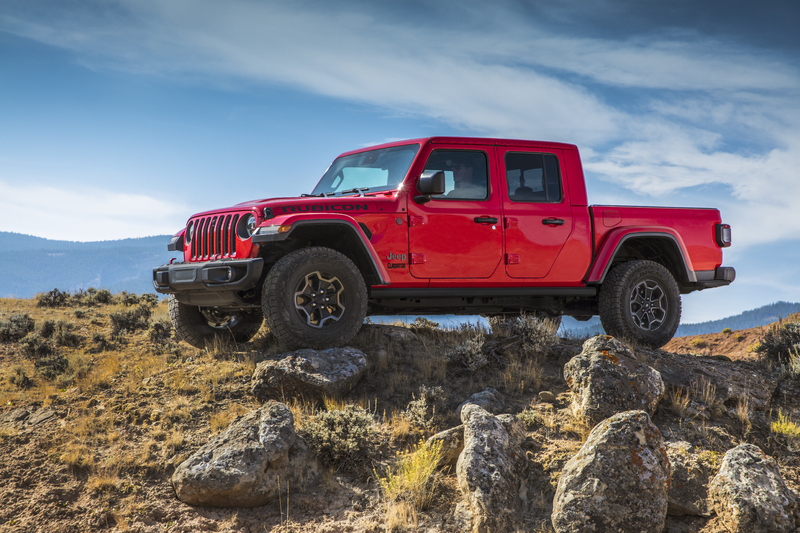 The latest Jeep Wrangler JL Rubicon is easily the most capable off-road vehicle you can buy off the showroom floor today (at least if you exclude the insane Mercedes 4×4 Squared). The Gladiator truck will offer the same level of off-road prowess, but with a worse breakover angle, as its wheelbase is 19.4 inches longer. 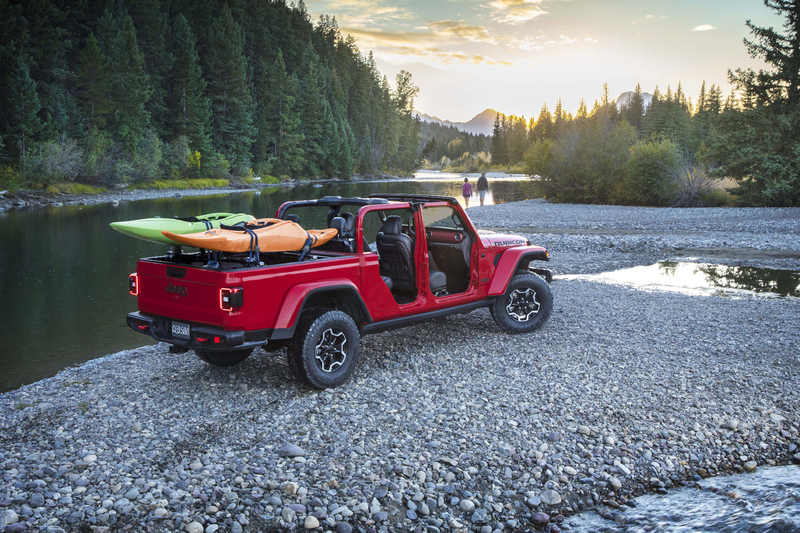 In the Rubicon trim, the new Gladiator will get front- and rear-axle electric lockers, an electronic disconnecting front sway-bar, Fox Shocks, and bed corner rock rails. It will also come standard with 33-inch Falken Wildpeak M/T tires. Couple all that with a selectable 4:1 low-range transfer case and solid axles, and this truck will be especially capable in the rocks. The Rubicon even has an optional forward-facing off-road camera, perfect for seeing those obstructions on the trail. 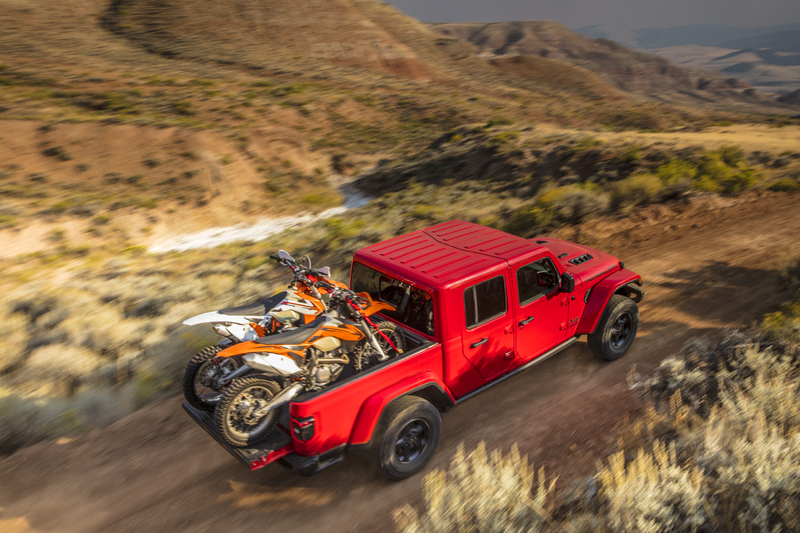 The Gladiator should best all of its midsize North American truck competitors in off-road prowess in nearly every way. It boasts 11.1 inches of ground clearance and up to 30 inches of water fording depth. It also offers a 43.6-degree approach angle, a 20.3-degree breakover angle, and a 26-degree departure angle. 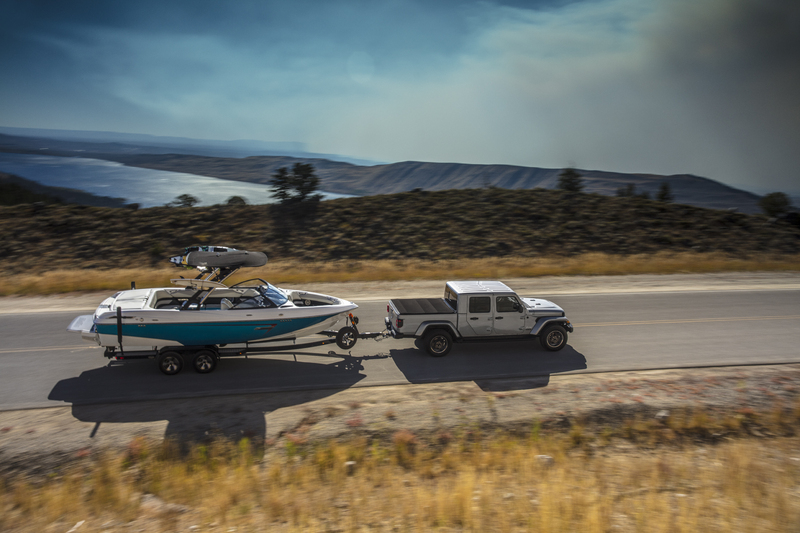 Only the breakover angle is bested by the competition, the Colorado ZR2 and TRD Pro Tacoma, at 23.5 degrees. The Gladiator will debut with the 3.6L Pentastar V6 that is currently found in the Wrangler JL. The engine is good for 285 horsepower and 260 pound-feet of torque. This engine will come standard with a six-speed manual transmission and be available in an eight-speed automatic. Jeep has also announced that the Gladiator will be available with a 3.0L EcoDiesel V6 in 2020. It will put out 260 horsepower and 442 pound-feet of torque. Because of the extra torque, the diesel will only be available with the eight-speed automatic transmission. 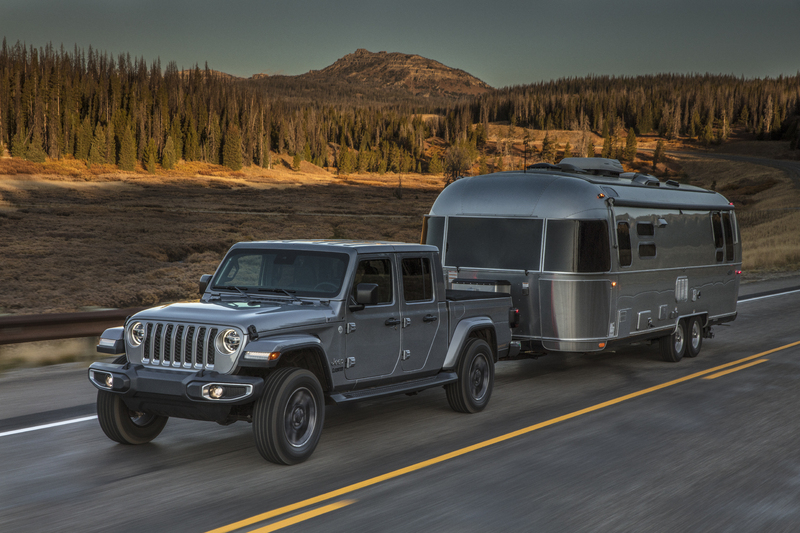 You can order a new Gladiator in four trim configurations; Sport, Sport S, Overland, and Rubicon. It will come with the fourth-generation Uconnect infotainment system. The system includes Apple CarPlay, Android Auto, and the choice of 7- or 8.4-inch touchscreen with pinch-and-zoom capability. The Jeep Gladiator frame will be 31 inches longer than the JLU Wrangler and offer one truck bed size: a 5-foot steel bed. It can carry an impressive 1,650 pounds of payload and tow 7,650 pounds. The unique rear seats fold flat and fold out of the way. 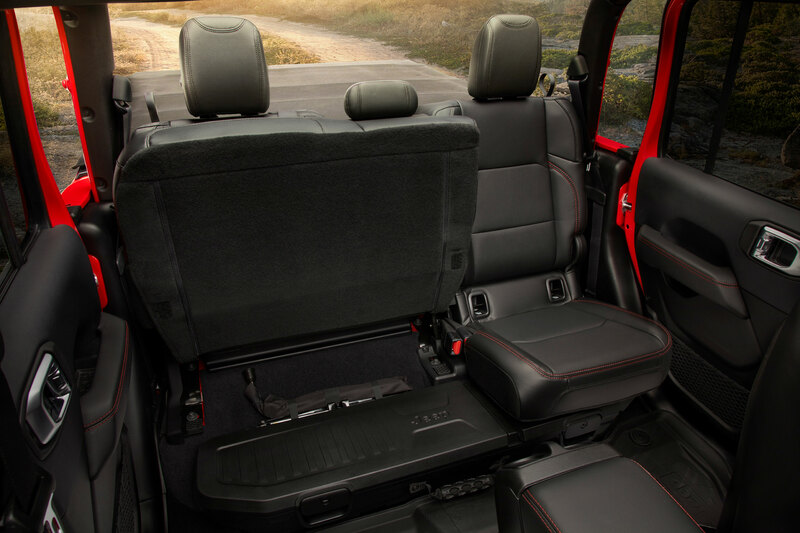 They also have an under-seat storage bin, which can be upgraded to an optional locking bin. Jeep has not yet unveiled pricing. We’ll add this as soon as we can find it! 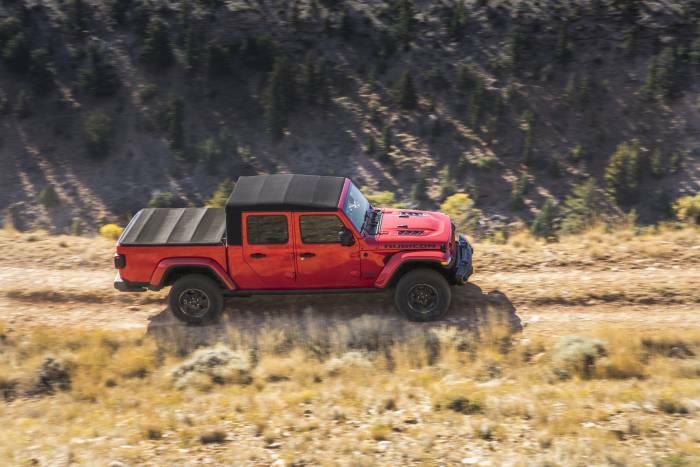 I’m firmly in the camp that the new Jeep truck should have been called the Scrambler, and not the Gladiator. 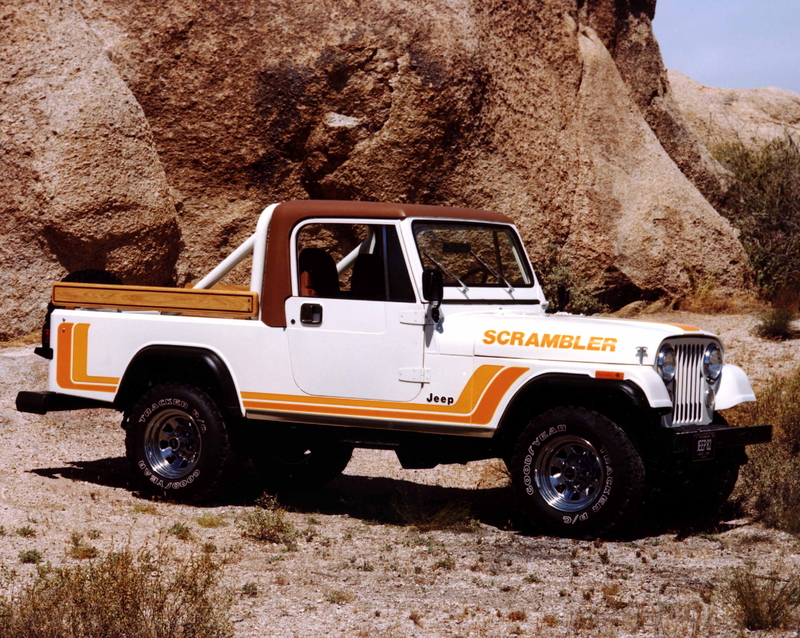 The Scrambler was the last Jeep pickup to be based on a Wrangler platform, the CJ-7. There have been five Jeep trucks in the past; the Jeep Pickup, Forward-Control, Gladiator, Scrambler, and Comanche. 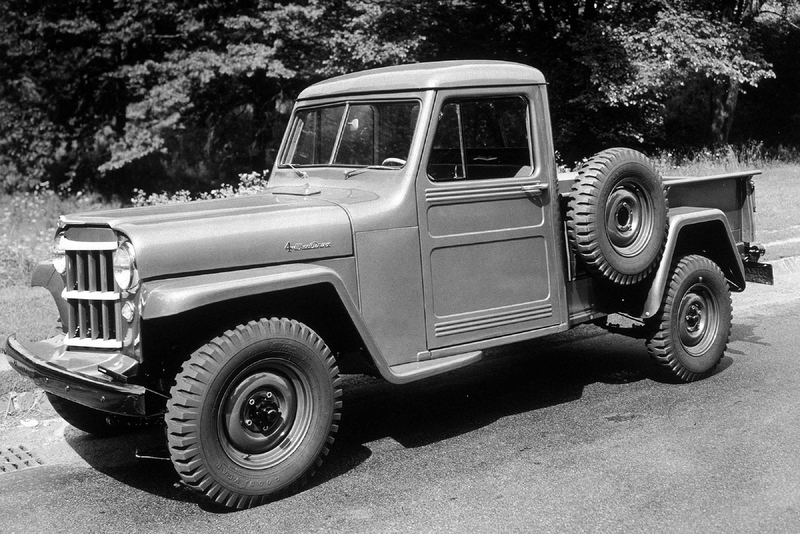 The first Jeep Pickup was made by Willys-Overland from 1947 to 1965. Then we got the Forward-Control work trucks from 1957 to 1965. The Gladiator was based on the Wagoneer and built from 1962 to 1988. The Scrambler was built from 1981 to 1986 on a stretched CJ-7 platform. And the Comanche was unique in that it was based on the Cherokee, which utilized unibody construction, from 1986 to 1992. We don’t yet know exactly when we’ll see these Jeep trucks on dealer lots, but we can expect them sometime in the second half of 2019. We’ll have to wait until 2020 for the diesel version. I, for one, was hoping for a two-door long-bed with a Hemi V8. While none of those configurations were announced, there is still hope. For sure you can expect to see such vehicles emerge from the aftermarket and on display at SEMA 2019. Is this the adventure truck you’ve been dreaming of? 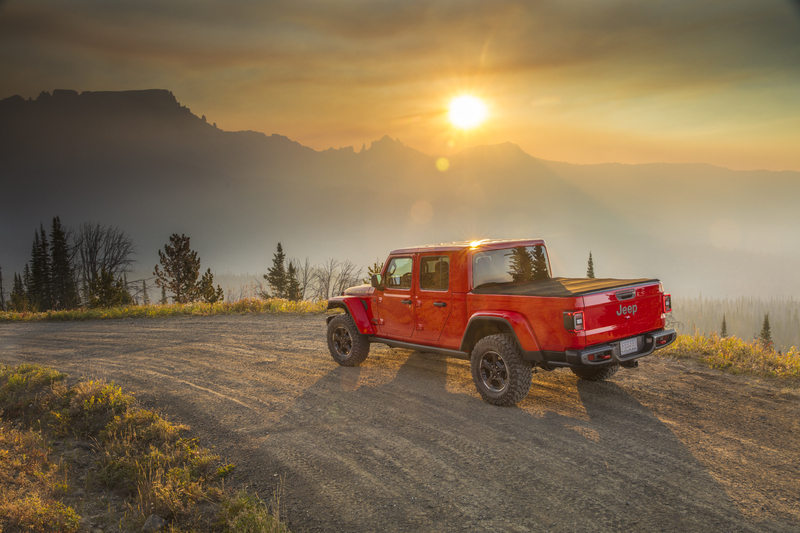 What did Jeep leave out that you wish this new truck offered?